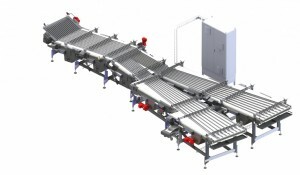 The SG2C’s expertise covers the conveying, distribution, buffering, synchronization and flow handling. 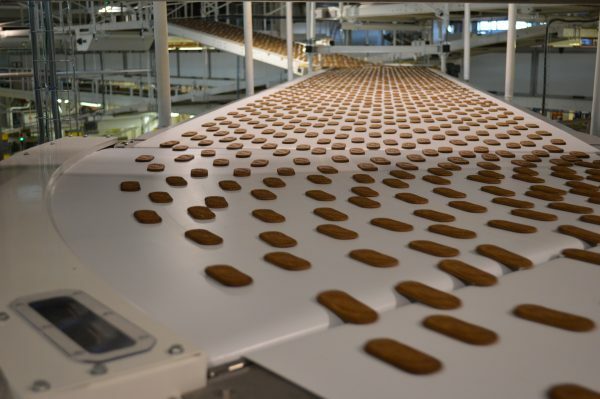 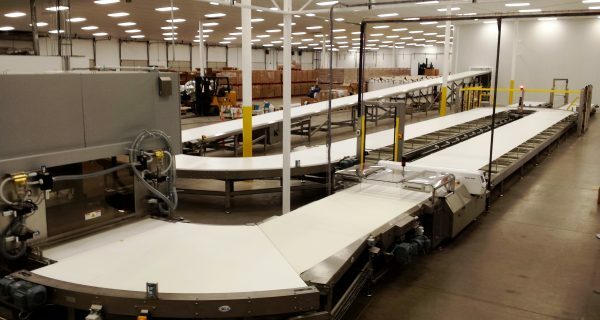 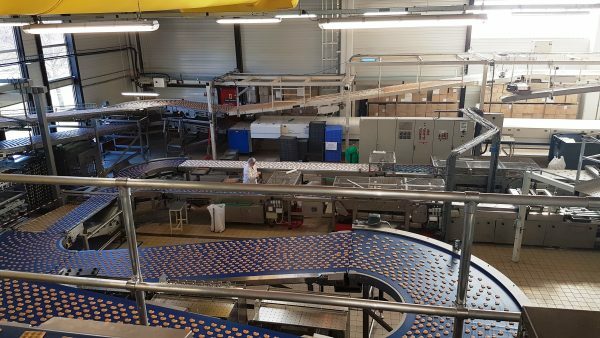 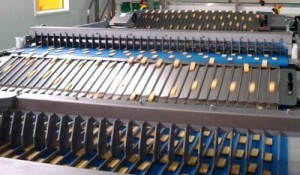 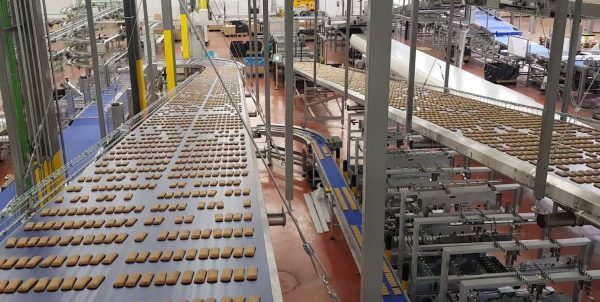 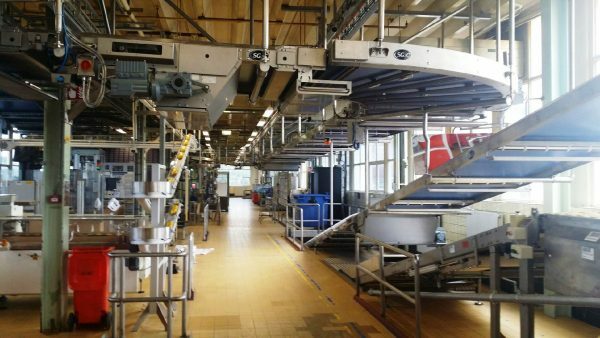 Technologies originally developed for biscuits which are fragile products running at high speeds, are transferrable to many industries having similar needs of precise handling. 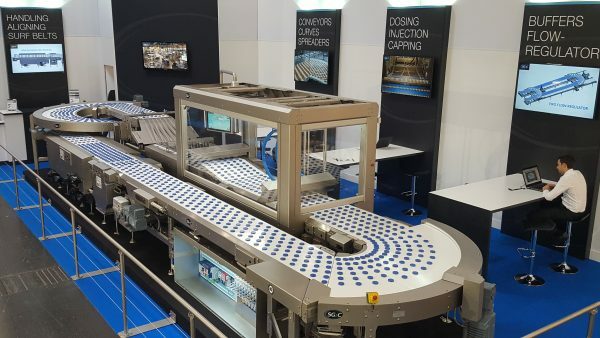 SG2C can offer unit machines or automated lines from the discharge of processing plants up to the infeed of wrapping machines. 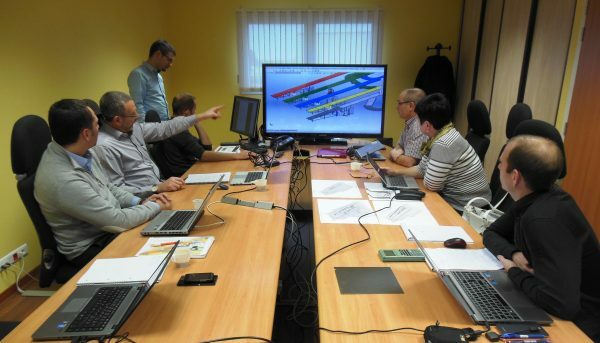 Our experienced team will listen to your requirements in order to advise innovative ideas and solutions to optimize your projects. 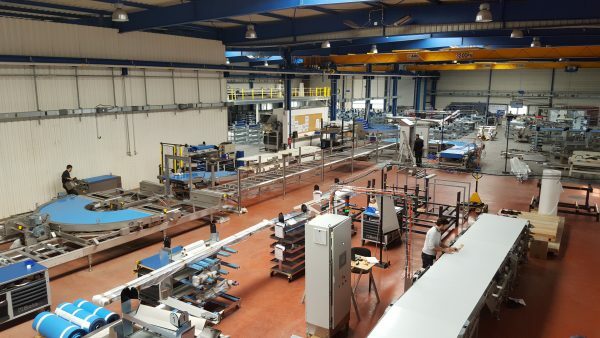 Modular design for fast on site installation and layout change with minimum modifications. 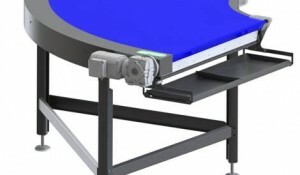 Low maintenance, safety and sanitary design. 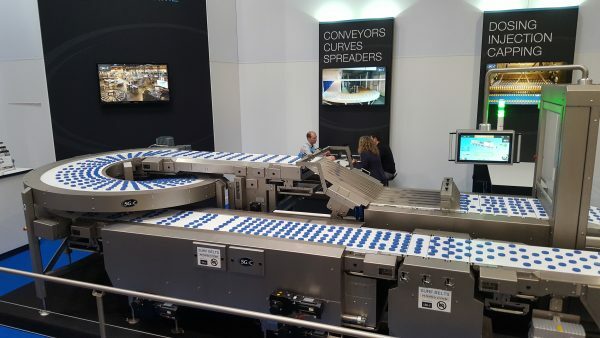 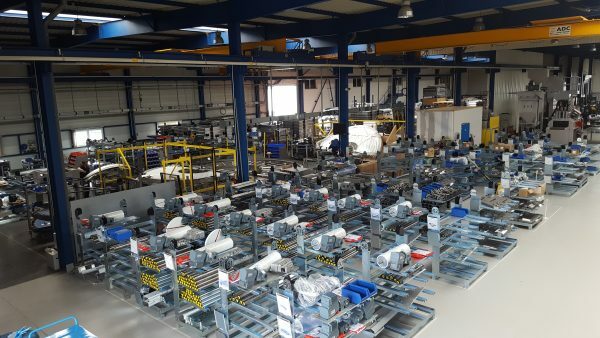 Many customers need to use belt bends for lifting or declining products but keeping accurate transfers, either because of reduced space or to give a better access to operators looking after several machines (without steps across). 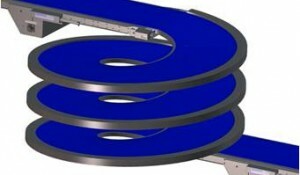 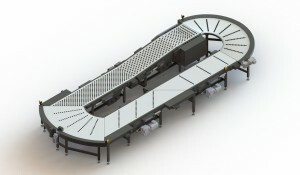 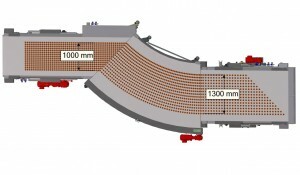 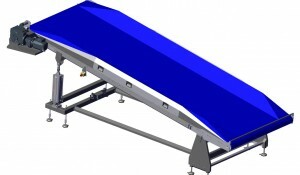 Combination of belt bends and angled conveyors (30°, 45°, 60° or any specific angle) in order to change the spacing between products and the belt width. 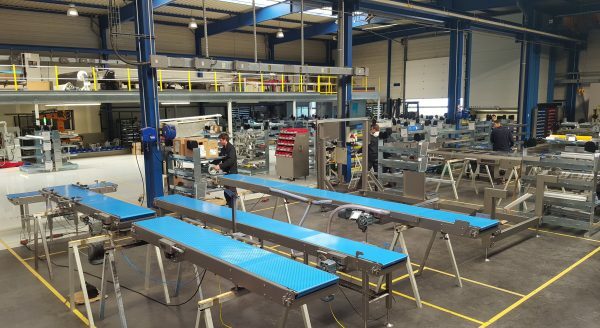 Simple continuous solutions for different product sizes on the same line, frequently used before robotic stations and vision systems. 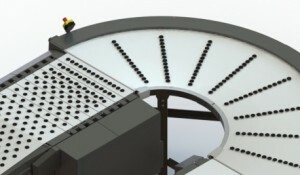 System composed of a number of very short servo-driven belts (patented design). 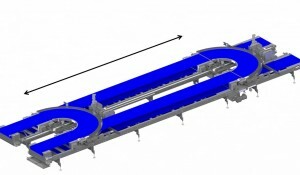 Solution developed in order to solve various issues often encountered within production lines, for example aligning loss and rows needed before special processing or wrapping machines, where it is not possibe to re-queue or channel products neither simply use row aligners (fragile or sticky products).